When Eli Burke dies, he leaves behind a mysterious notebook full of stories about a magical figure named The White Rebbe, a miracle worker in league with the enigmatic Angel of Losses, protector of things gone astray, and guardian of the lost letter of the alphabet, which completes the secret name of God. When his granddaughter, Marjorie, discovers Eli's notebook, everything she thought she knew about her grandfather--and her family--comes undone. 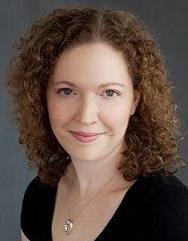 To find the truth about Eli's origins and unlock the secrets he kept, she embarks on an odyssey that takes her deep into the past, from 18th century Europe to Nazi-occupied Lithuania, and back to the present, to New York City and her estranged sister Holly, whom she must save from the consequences of Eli's past. Interweaving history, theology, and both real and imagined Jewish folktales, The Angel of Losses is a family story of what lasts, and of what we can-and cannot-escape. The Angel of Losses was somewhat of an up and down read for me. There were strong elements that I thoroughly enjoyed and there were a few aspects that didn't work for me. Let me be clear and say that it was mostly an UP read and in the end I found it to be a very strong work. The Jewish myths were incredibly interesting and beautifully written. While reading those sections I found myself completely immersed in the story. I'm interested in religious history and the tales of the White Rebbe were fantastic. I could have read the mythical tales all day long. Unfortunately the modern relationships in The Angel of Losses weren't quite up to par with the ancient ones. I didn't find the current relationships as deep or as believable. Keep in mind that I almost always prefer the historical aspects in books to modern ones. Part of my dissatisfaction with these parts of the book are on me. 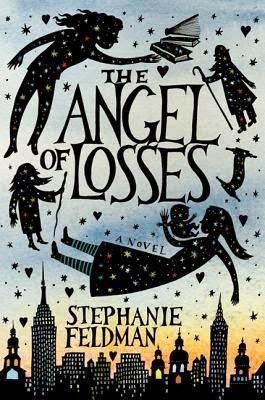 With themes including love, loyalty, theology, and folk tales, The Angel of Losses is a very entertaining debut that I can recommend to almost every reader. You don't have to take my word for it, please see the rest of the TLC tour stops here. It sounds like there are many interesting aspects of this novel, even if it is a bit uneven. The Jewish history and folklore intrigues me. Oh yes, the folklore was incredible to read. I really enjoyed those sections a lot. This is really interesting to me...I'm reading this one now and I'm having a hard time getting through the parts that center on the myths, but liking the more modern aspects. I think I really do have with folklore, though, which is kind of shining through while reading this. I think it's interesting how you and Shannon are flipped like that! Not sure how I'd feel about the book itself, but the cover of this one completely captivates me. Isn't it? You should read it too so we know which way you fall ;) I forgot to mention how very much I love this cover! Hmmmm, I find the idea of the Jewish myths fascinating. You've got me all curious now. Your comments combined with Shannon's have convinced me that I should read this. I love Jewish folklore, so it was kind of on my list anyways. But now, for sure! I haven't made up my mind about whether to read it or not, but I think I would be more like you - interested in the Jewish aspect and the historical relationship. Modern relationships have to be amazing to interest me. If the modern one is not on equal playing field with the historical one, it would definitely make it a harder read to enjoy. You know, that was my favorite part of Invisible City, too, reading all about the Hasidic community. I don't know a lot about Jewish mythology so I know I'd find that part of this book absolutely fascinating! Sounds like an interesting read. It's hard to combine historical and contemporary stories and have them both be as compelling as each other. Shame it didn't work so well here, but it still sounds worth reading. Thanks for the review, Jennifer. The historical part of this story sounds very appealing! I love discovering new mythologies. I think this is one that I would also have trouble with, but also for my own reasons. I try so hard to enjoy mythical/magical realism books, but they continually disappoint me. I think I need to just accept the fact that this genre is not a match for me! The parts about myths and historical elements sounds interesting.